Melissa Gorga Gives Us a Shoutout! 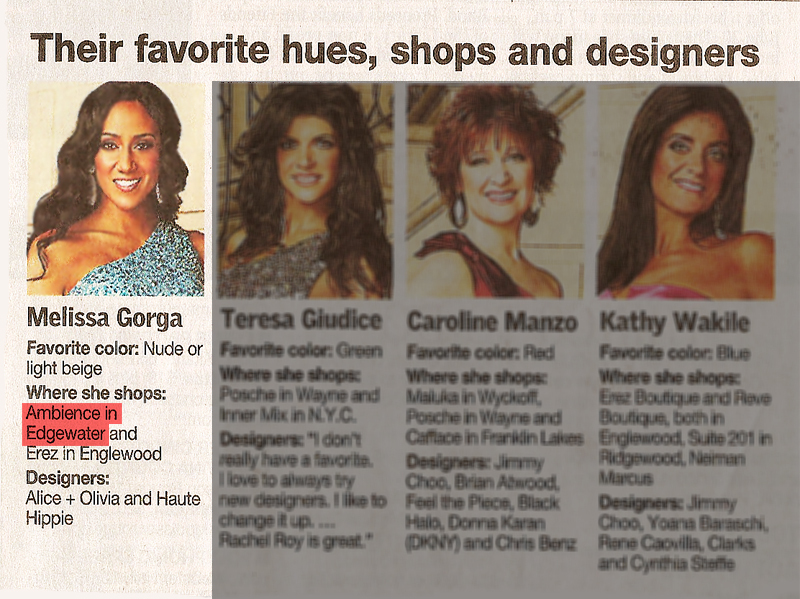 Melissa Gorga shares her love of Ambience/Shopambience.com and great fashion for all to read. Check out the Bergen Record's article, "'Real Housewives' offer fashion tips and a glimpse in their closets". Grace loves styling Melissa for her events as she has great fashion attitude and style. Thanks for the awesome shout out Melissa!